While many public libraries have areas set aside for fiction books, academic libraries like Pacific Lutheran University's Mortvedt Library organize books by Library of Congress call numbers. So instead of finding all the fiction books in one area, the books are organized by the author's country of origin and time period. Literary criticism and translations are shelved side by side with the novels. Search by keyword for a topic, for example "animals"
then limit to either a language, an author, a country, etc. NOTE: Searching by the keyword "Fiction" will also retrieve citations for literary criticism on a particular novel. 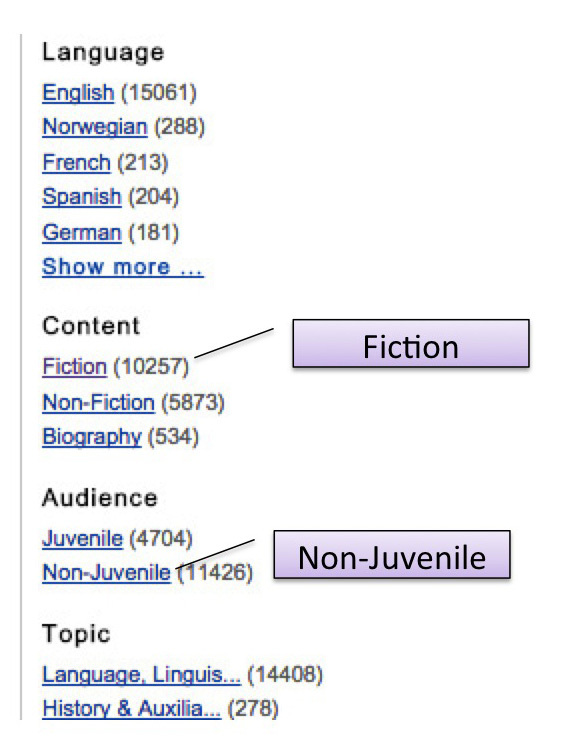 Look to the left of the search results, limit by content (fiction) and audience. 1. 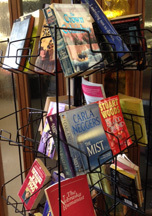 Public libraries carry popular fiction books and there is a branch 1 mile away. From campus, head east on Garfield Street towards Pacific Ave.